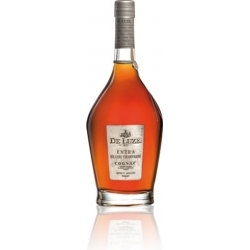 DE LUZE EXTRA DELIGHT Fine Champagne Cognac is a blend of eaux-de-vie from Grande and Petite Champagne distilled in our own distillery at the Domaine Boinaud. 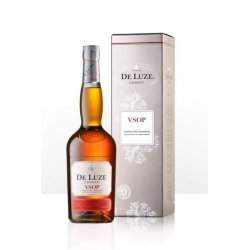 Thanks to a genuine philosophy of quality applied at every stage of its preparation, DE LUZE offers a fiery antique gold-coloured cognac attained exclusively due to the long ageing in Limousin barrels. 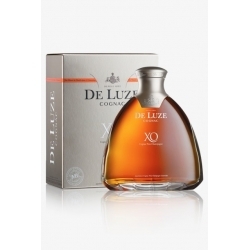 It thus acquires a perfect maturity which brings a smoothness, a subtlety and an elegance so characteristic of old cognacs from Grande and Petite Champagne of which DE LUZE EXTRA DELIGHT is one of the best representatives. 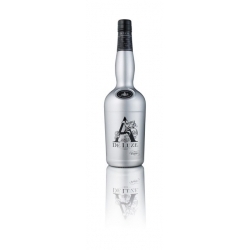 It offers floral and fruity notes of narcissus, jasmine, figs and dried fruits harmoniously mixed with aromas of vanilla, chocolate and eucalyptus.